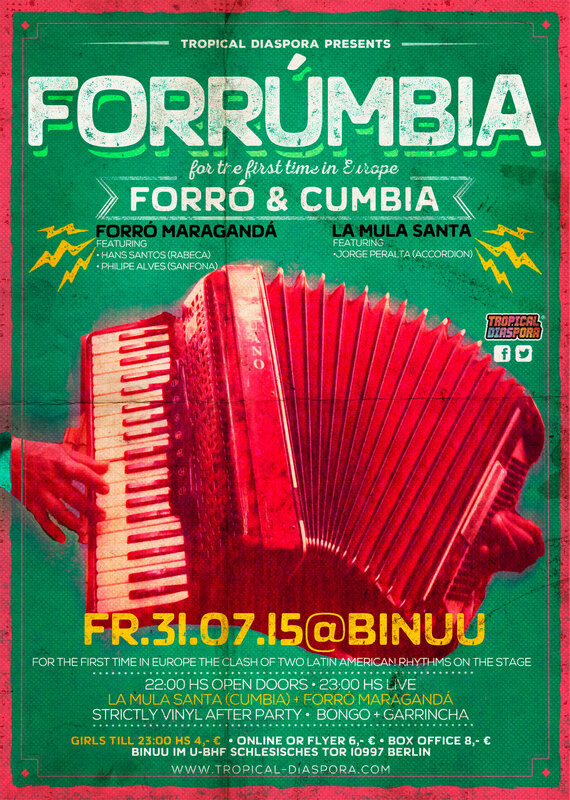 From Tierra del Fuego at the extreme southern of South America i present La Mula Santa the first Chilean cumbia band from Berlin. 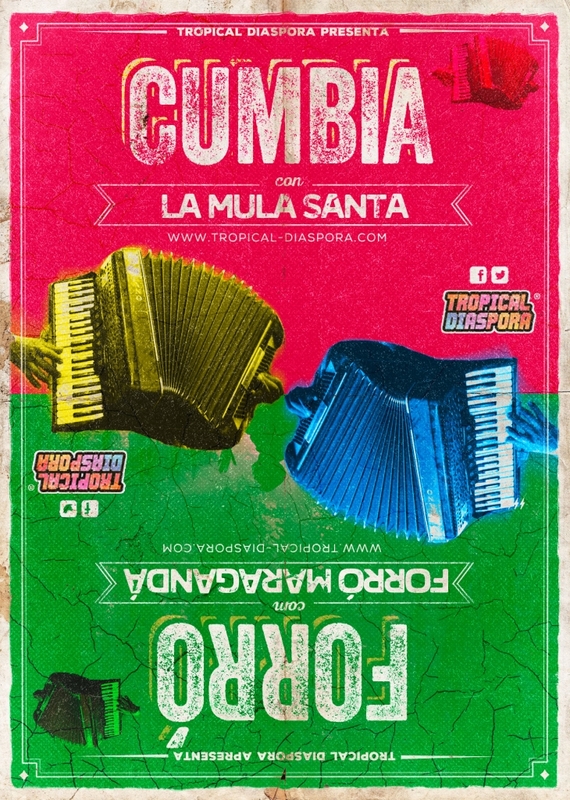 We know already that from the Andes to the Atlantic coast the Colombian Cumbia is more then popular and while in Europe it is still an amazingly well kept secret. Located on the Caribbean coast of Colombia, this music has been not only in Latin America but also international success. 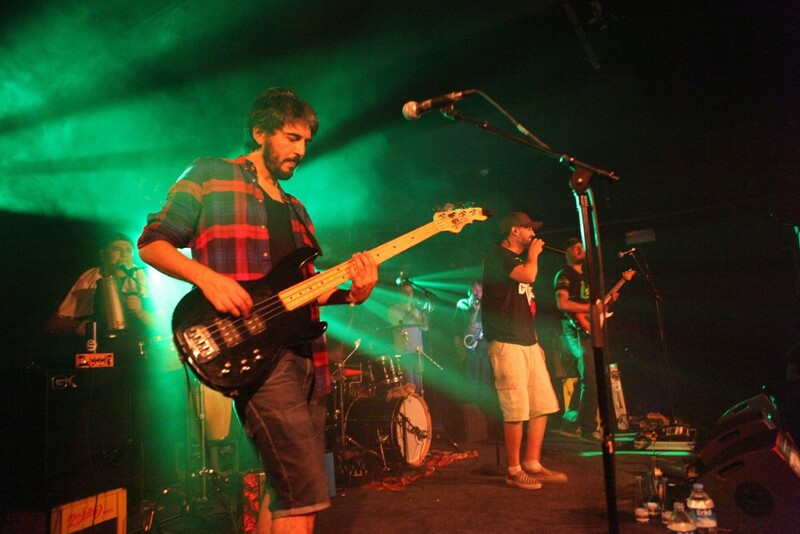 La Mula Santa is a multi genre, bilingual (Spanish and German) Latin band from Berlin. The Band identity comes not only from the infectious beat of the Cumbia, but also of different Latin-American rhythms like Merengue, Salsa, Bomba, Guajira, Reggaeton and Latin Rock. The Band play originals and covers and also cover modern and traditional rhythms as we have the ability to play music from different eras. Thus we can play for all ages. We have played all over Europe and overseas, we have played clubs, festivals, community events, corporate functions, private parties, weddings, TV, radio and in the last few years at Tropical Diaspora Roots Sound party.These professional musicians have united forces to create La Mula Santa and bring it to an extreme professional level giving the dancers a sweet Latin flavor and become the people’s choice. The band members have deep rooted Latin flavor and play well known songs with there own twist to them.